Sweet fragrant flowers are the perfect offer of condolence—an expression of comfort, sympathy and affection. In times of grief, we are at a loss for words. Flowers are the perfect offer of condolence—an expression of comfort, sympathy and affection. The beauty and scent of a floral arrangement has a positive effect on us, even at the subconscious level—Harvard research proves immediate and positive response to the sight and smell of flowers. Partnering with regional and international growers Roiann strives to offer the highest quality floral design. You can rely on receiving a distinctively personalized floral composition to bring comfort and to convey how much you care. 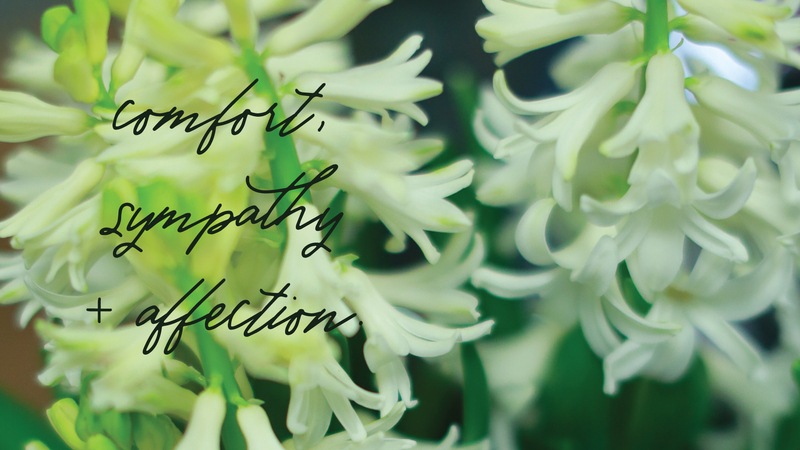 Let us help ease the burden and pain by providing stunning funeral and memorial flowers for the home or office, service or cemetery. Please be aware that we use sustainably-grown products including locally cut flowers, moss and accent materials. Consequently, seasonal availability may necessitate substitutions for arrangements similar to those pictured. The rustic wooden cross with stand, embellished with an elegant floral spray, is just one of our signature sympathy arrangements. Funeral sprays can be customized to include favorite color ways, blooms or personal momentos. Pictured above is a recent arrangement symbolic of angel wings—to commemorate a beautiful young woman dear to our hearts.